I made some changes on the FAC homepage for fun to see how it looks like and I thought I'll share this with you all. As for my thoughts on your "advice"
You pretty much told him everything sucked and he needed to start back at square one.A good critic would label his strong points and provide suggestions for his weak points.You pretty much told him every aspect of his piece needed improvement.I suggest you find something in the pieces you critique that you like and want the artist to keep before you go criticizing every other thing that doesn't fit your specifications.If you can't then you don't see the true potential of the piece and thus cannot criticize it well.I do however like the way you gave him specific detailed and helpful things to improve upon. I will mention that Gety linked this design in the forums discussion thread and the webmaster's response was pretty much the same. The design looks awesome by itself, yes, but making it work would be an absolute nightmare of HTML/CSS markup, and we don't want bold colors and textures drawing attention to themselves and distracting from the ART submitted to the site. I like the site design but I also agree on some points of Xx_True_Dachshund_xX. A different font would be nice, and it would take longer to load, but this redesign is a nice breath of fresh air. I know that this is just for fun, but I think it's great! :O its an art place its exposed to be all colerfull and stuffys! I think FAC would look great with this layout..It needs more colour! It would catch people's eye and maybe encourage them to join and come :) I love it! idk..I want a change. 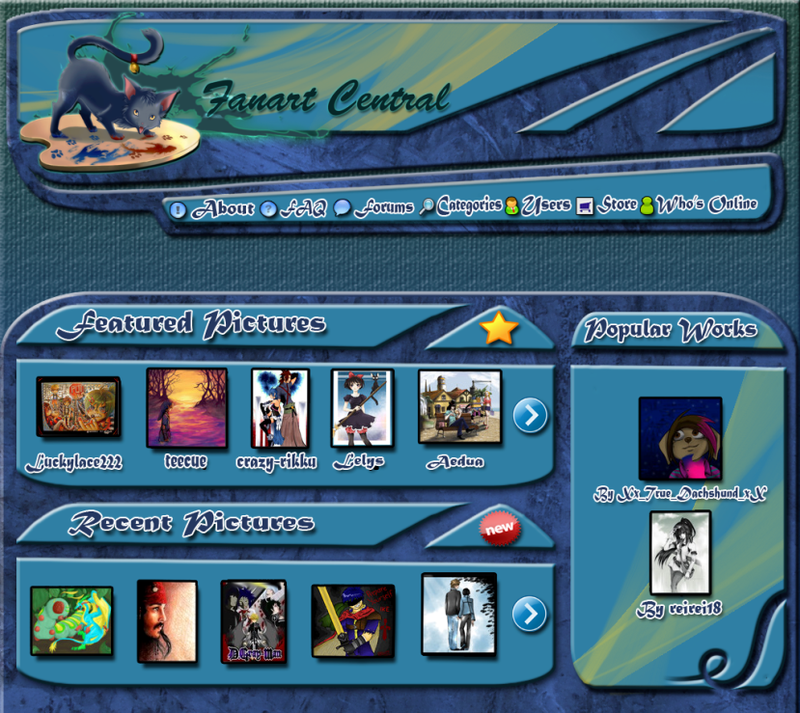 It's not like the site is gonna totally change now Gety just made it for fun lol..
i wish it looked like this :O! But the version Pheral shown looks odd to me. I think you should send this to the adin guys on here and convince them that they should redesign FAC to this. It catches the eye and might very well encourage more people to join.